Welcome to Oregon where all e-liquid bottles look just like each other. If you enjoy shopping for e-liquid with your eyes, then you’re going to be in for a rough time as Oregon switches to plain packaging on all of its e-liquids. New packaging laws will drastically change the e-liquid market in Oregon. Not only has it switched to bland and boring e-liquid labels, but they’ve also ruled out the use of a long list of descriptive words. Crazy right? Did it work for cigarettes? No. According to Forbes Magazine, not only did plain packaging not work in Australia for cigarettes, after five years the decreasing smoking rates stalled and smoking actually increased. Many experts believe that by removing branding and other information, consumers are easier to sell to. It didn’t work with cigarettes so why would it work with e-liquid? The short answer is that it probably won’t. 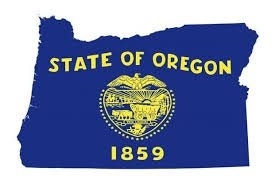 As it stands, most commercial e-liquids which are sold in North America will be illegal to sell in Oregon unless they undergo some serious changes to their labels. According to the Oregon Health Authority, “An inhalant delivery system is packaged in a manner that is attractive to minors if because of the packaging’s presentation, shape, graphics, coloring or writing, it is likely to appeal to minors.” The term “inhalant delivery system” means any vaping product which could be used for either cannabis-based liquids or e-liquids. Now, imagine that you’re an e-liquid manufacturer trying to design a label that appeals to vapers. Good luck with that. The new laws are considered by many to be a knee-jerk reaction to an industry which is growing rapidly, much faster than anyone could have foreseen, especially the government. Never has it been more important than now for vapers to join together and take part in their local, and national, vaping organizations and associations. If you don’t want your lifestyle to be impacted, then it’s important that you stand up and ensure that your voice is heard.